Looking to add a touch of summer to your store? Our floral jute bag range is guaranteed to stay in bloom all year round! Whatever the weather, these vibrant bags will brighten up your day. The floral design makes it a great everyday choice, the structured base ensures the bags keeps their shape, no matter how much you fill them up. Purchase these bags as a set of three different sizes or individually. 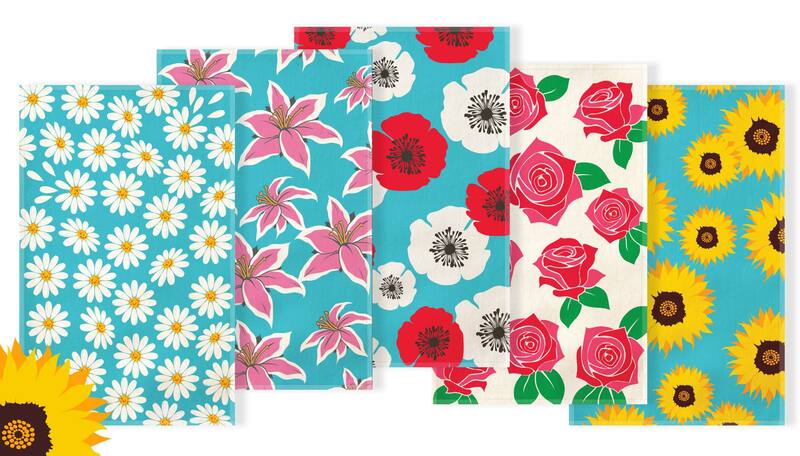 The bags are available in our daisy, lilly, poppy, roses and sunflower print. When you order 250 or more you will receive 50 free floral tea towels to match, giving you a great new product range to offer your customers this summer. Ready to plant up your store for the season? Check out our full range and get in touch!